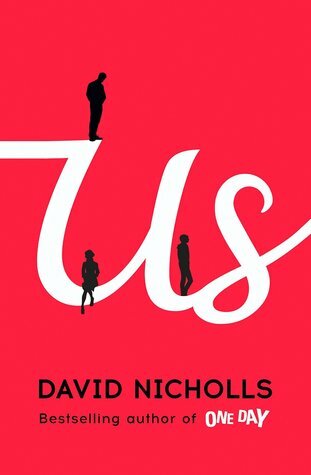 Us (October 28, 2014) is the latest Contemporary novel from David Nicholls since One Day, almost five years ago, AND the first book I reviewed here on The Daily Dosage. I saw the enormous advertisement banner at BEA and was shocked that he was coming out with another book. I tried my very best to get my hands on one but no such luck. I then found out TLC Book Tours was doing a book tour for it and was ecstatic to be part of it. The first person narrative of 54-year-old Douglas Petersen was so engaging, witty and insightful that I couldn’t put the book down. His wife of twenty-five years reveals that she feels that their marriage has run it’s course just before they are about to embark on a month long tour of Europe with their teenage son Albie, before he heads off to college. Of course like most men, he didn’t see it coming. He didn’t see the signs, for Douglas is a very simple, pragmatic, yet intelligent man. He never thought he would find someone as charismatic and quite the polar opposite as Connie and these “episodes” of him looking back into their lives are beautiful to read. Douglas is so in love with his wife that it just permeates off the pages. I started to feel really sad for this gentleman who “needed” this woman in his boring life so badly. Not so much needed but truly appreciated all of her differences as a wake up call to his reserved life. But Nicholls is one of the masters whose ability to write tender hearted scenes mixed with hilarious laugh-out-loud moments and sharp dialogue kept me up ’til the wee hours devouring this novel. Douglas not only looks back to reflect on his life with Connie but another element that is so powerful in this novel is his relationship (or lack thereof) with his son Albie. Albie always favored Connie and the two of them were a joint force to be reckoned with. He is desperate to build some sort of relationship with his son and as he tries to do this on the streets of Europe he also reveals his less than stellar past performance as a father. I could go on and on quoting scenes from the book but I would be here all day. I can see why it made the long list for the Man Booker Prize 2014. It’s one of my favorites this year. And somehow I knew it would before I opened to that first page. Nicholls’ writing resonates with me like many of my favorite authors: Meg Wolitzer and Jojo Moyes to name a few. I don’t always have to like the characters when I am reading but his keen ability to create flawed, real people with such revealing humility is why I keep going back for more. There is no dystopian world, no shocking twist, no questions left unanswered but just (as one reader expressed) flawless execution that has stayed with me for days. Thank you to Trish at TLC Book tours for letting me in on this tour and supplying me with an ARC. I was not compensated for this review and some quotes may be changed in the final release. Tags: British Literature, Contemporary Fiction, David Nicholls, drama, family, marriage, mid-lfe, TLC Book Tours. Bookmark the permalink. Your review has me wanting to pick this book up and start reading right now – it sounds like a fantastic read! OOh, I’m keen to read this. Loved One Day. Me too! I love his voice so much!